Joomla is an open source software that is a free download from their website. It is available for just anyone to download and install. All you need is a basic level of IT skills are you are fine. You can follow the set wise installation procedure through to installing the Software. Once of the most important parts is setting up the website with a template of your choice and then configuring it. You have the option of hiring an expert Joomla Web developer to do the job for you. In fact Alakmalak is one such Web development company that can help you out with that issue. They can also help you configure the website to suite your requirements. Once you do have your website all setup and need to modify something on your site like for example the slider; you can refer to an article like this and do it yourself. This article is all about how you can change the slider dimensions. Step wise instructions are provided here to help you out. There are templates that have full width sliders; for those templates only the height of the slider can be changed. First detect the module that is being used by the full width slider. 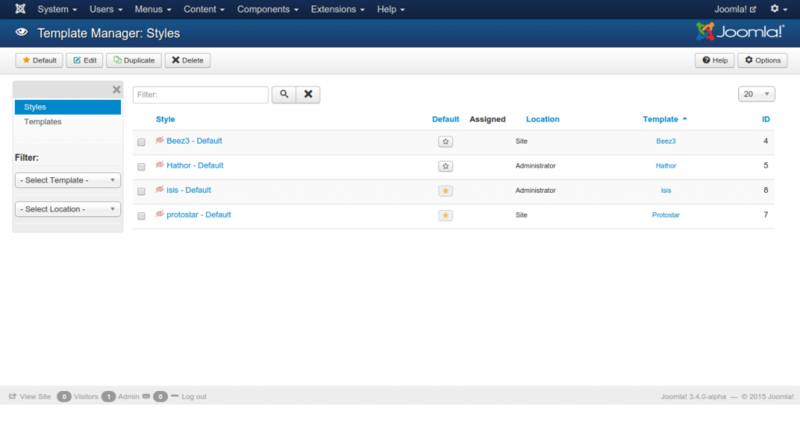 Once you do have the module; go to the module manage from the admin menu in the administrative section of the website and check the template options. You may need to actually edit the file via an editor if no options are provided in the admin section. In that case you first need to login in to the web server via FTP. Once logged in to the FTP account need to navigate to the folder modules/<module name>/tmp. Here the module name is that of your module that you detected from the admin section. Now download the file by the name default .php and edit it in your favourite editor. Here find the section that actually displays the slider on the screen and change the height to an appropriate value. It is a good idea to use a percentage value rather than using px value. Once done, upload the file back to the server via FTP and refresh your website. You will notice the difference. In case you have a regular slider and not a full width one; the process is slightly different. First detect the name of the module as mentioned earlier for the full width slider. The module options will include the name of the category form which the images are being picked. Make a note of the image size here. Now open the category which is used for the slider and in the item image option specify the desired image width. Re-upload images for the slider items. You will also need to increase the size in the CSS file. This will be usually the CSS file located in the module directory and needs to be accessed via FTP. Set the appropriate dimensions in the CSS file. That is all; you should be set to go with your slider in a new dimension.